The Maori Messenger – Te Karere Maori was a government-sponsored bilingual newspaper in the mid-19th century. 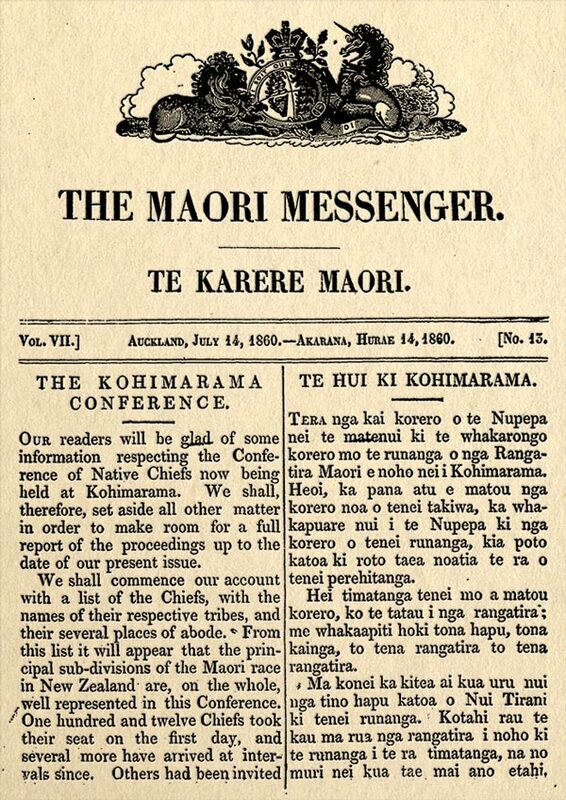 In 1860, when Governor Thomas Gore Browne organised a conference at Kohimarama, Auckland, attended by Māori chiefs from around the country, The Maori Messenger published the entire proceedings. The Kohimarama conference was later used by kotahitanga movements as a historical example of kotahitanga in action.